Does a Champion Title Really Matter? I’ve been pondering this question a lot this week, inspired by a comment left on a social media post that was promoting the Solo Practice Guide. I’ve been celebrating my World Champion title as much as the next dancer, but how much significance does it really have? The question arises first because of all of the qualifiers that are attached to my champion title. Yes, I’m “World Champion,” but technically I’m the 2018 Pro-Am American Smooth Closed Silver A World Champion. There were also champion titles in the same division in the B and C age groups. 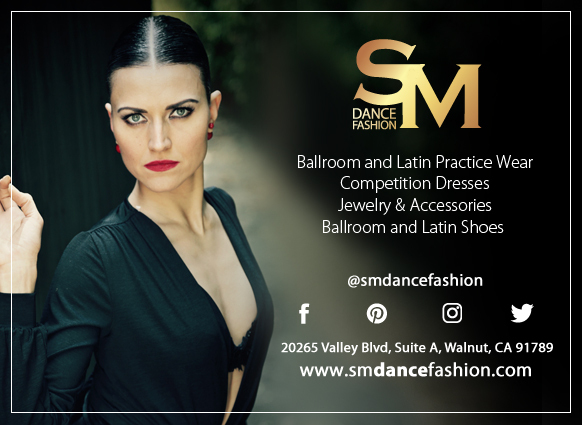 And in all three age groups at the Closed Bronze level, and Closed Gold and Open levels… Not to mention the three other dance styles, the am-am events and the professional events. There were a LOT of “World Champions” at Embassy Ball! I don’t think the number of titles should detract from any particular one though. Everyone enters a particular division or event, and that’s what they win their title in. Same thing happens at the Olympics! What about the size of the field of competition? When I competed at Embassy Ball in 2017, there were seven couples in my event. When I competed in 2018, there were 11 couples. 1st out of 11 sounds more impressive than 1st out of 7, doesn’t it? Does that make the 2018 title more significant than the 2017 title, even though each one was won against whoever else entered the division that year? It’s easy to pick apart these titles, but I don’t intend to diminish anyone’s victory. It was pointed out to me though that there are also those who boast of being a champion when they were uncontested or competing against only one other couple. The competition still awarded them first place though! Doesn’t that count for something? A champion title, a first place, a top student award…these are all external validation. Someone other than yourself is giving you a pat on the back and telling you “you’re the best!” It’s a great ego boost and good bragging material for social media. You’ll probably feel pretty darn special for a couple days. What about after that? Maybe you return to an office like me, and the people there don’t really understand. They might think it’s cool that you won, but they’re over it pretty much right after they tell “oh wow, congrats!” You still have to buy groceries and clean your bathroom. At your next lesson, your teacher is ready to go over what needs improvement for the next competition. Life moves on! If all you have is that external validation in the form of the trophy or medal sitting on a shelf at home, then you’ll probably find yourself feeling deflated and perhaps a little empty. If you’re prone to post-comp blues like me, then it’s even worse because you’re coming down from the high of competing and the high of winning a prize. The only way to feel better is to compete again and, hopefully, win another trophy. What if you don’t? What happens to you then? On the other hand, say you danced at a competition and felt you gave your absolute best performance. You felt so amazing on the dance floor and so proud to feel all of your hard work come together. You know in your core that you rocked it. You don’t need anyone else to tell you how awesome you were. You were there! That’s how I felt at Embassy Ball. Everything clicked. I felt strong, balanced, and so full of joy to be out on the dance floor doing what I loved. I felt like a champion before they ever announced it. That’s internal validation. It’s the knowledge you carry inside that you are a success. You don’t need it to come from anyone else; you are the source. Ideally, we want to experience both of these from the same event. I felt like I had won at Embassy Ball and then they announced that I won. The external response mirrored my internal one. We all want external recognition for our achievements. I felt like I had danced my best at the 2017 Embassy Ball as well, but the external response did not agree. My ego was crushed, but as I wrote last year, while it felt like the worst of times, it was also the best of times because I still had that internal validation telling me I succeeded. I’ve also experienced competitions where I received external validation without the internal. At the 2015 California Open, I had a clean sweep. First place in every event that I entered. Of course, many of those events were uncontested. I was also dancing while recovering from a multi-day migraine, and I did not feel like I performed anywhere near my best. So while first places were nice, and I’ll never say no to scholarship money, the wins felt a little empty. At the end of the day, months after my big win at Embassy Ball, it’s not winning the title that I think about to make me smile. It’s how I felt dancing. How grounded and at the same time light I felt in Waltz. How perfectly timed my flick was to the music in Tango. How strong and balanced I felt exiting the double turn in my Viennese. Those are the moments I remember. I remember winning the title too, trying not to cry as I walked up to accept my award, and standing up on the top podium. I remember how I felt winning, but I don’t relive the emotions with the memory. That moment was like a sparkler that burned super bright when it was lit and then burned out quickly. When I remember how I felt dancing, I can’t help but smile and feel that surge of pride and joy again. The dancing itself and how I felt dancing continues to live in my memory like a steadily burning flame. Let’s be real here; I compete because I want to win. Otherwise, I’d just do showcases or solo performances that aren’t judged. I want to win by dancing my best at that point on my journey. That’s the distinction. In other words, I focus on achieving that internal validation first, so if/when the external validation comes, it’s the cherry on top and not the whole dessert. It’s been my experience that when you do focus on that internal validation first, the external comes more easily. It’s easier for others to name you champion if you first know it yourself! So if you’ve got some trophies, medals, titles or other mementos of past wins, congratulations! Those wins are just milestones on your journey though, not the end. So celebrate loud and proud! But then it’s time to continue with your dancing and keep growing toward the next milestone. Thanks for visiting the Girl with the Tree Tattoo! Please share with your friends, and if you need help adding some structure to your dance training, sign up for the free Solo Practice worksheet!